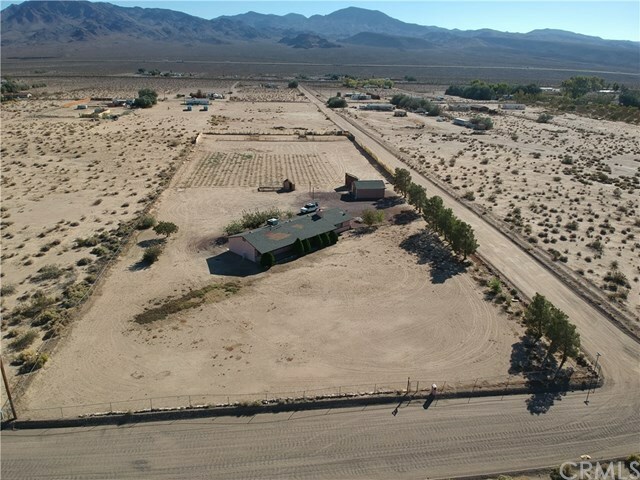 **PRICE REDUCTION** Beautiful 3 Acre Ranch Home Property located only minutes from Barstow and conveniently located close to Laughlin, Lake Havasu, and Las Vegas. This gorgeous property is fully fenced with a wrought iron sliding gate entry door which is a perfect entryway to store your Boat, off road vehicles, RV, or Big Rig Trucks. This land can be used to raise animals and is setup perfectly for CULTIVATION - Has a well / with pump that produces over 80-100 gallons per minute! WELL WATER IS ABUNDANT! As you walk in to your 3 bedroom 2 bathroom ranch style home, you will notice an open concept layout that leads you straight into your family room and kitchen. If you are looking for that DREAM RANCH HOME - LOOK NO FURTHER! IT'S HERE! Bring your offers and start enjoying real ranch living!